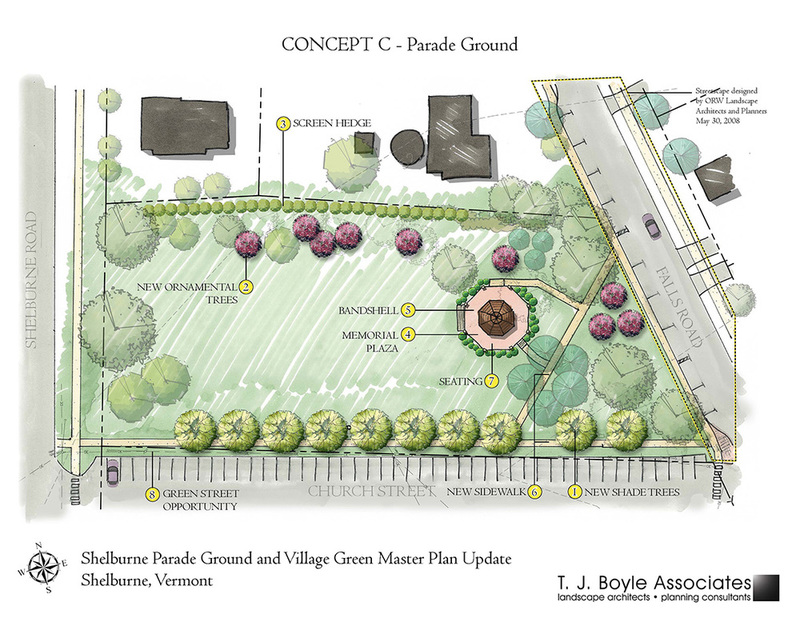 As part of an update to the master plan for the central village green in Shelburne Village, T.J. Boyle Associates developed design alternatives for the Shelburne Parade grounds that worked with the current masterplan while documenting existing conditions and defining opportunities and constraints. This project involved the community through the development of a survey that allowed residents to discuss their concerns about the space. This feedback was incorporated in the final design, a refined version of the initial design alternatives. The final products were assembled in a packet for the town’s use, which included aesthetic recommendations and site feature examples.